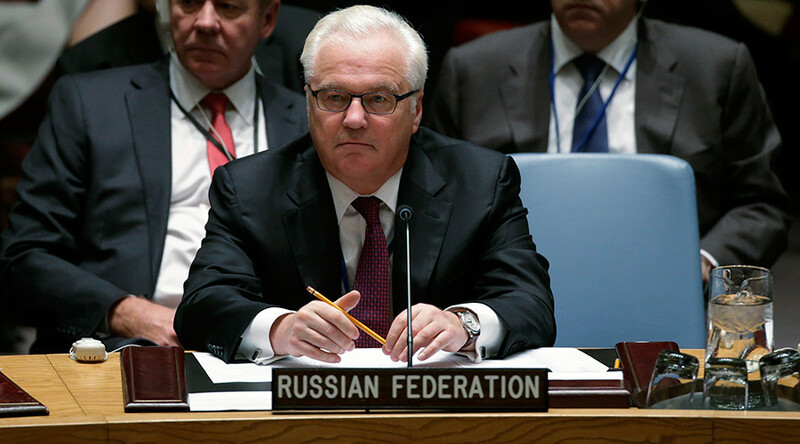 Russia’s ambassador to the United Nations, Vitaly Churkin, dismissed the US claims accusing Bashar Assad’s regime for the rise of Islamic State (ISIS/ISIL). Islamic State's rise goes back to the US-led intervention in Iraq, he said. “ISIS appeared and became active in Iraq when the militants began storming Baghdad … So, Islamic State ripened in Iraq during the U.S. occupation … the American occupation should be blamed for the rise of ISIS,” Vitaly Churkin said in a TV interview to the Russian news agency Rossiya Segodnya. He also added that it was time to “start creating an international coalition to fight ISIS, which is what President Putin's proposing,” referring to the Russian president’s speech at the Collective Security Treaty Organization (CSTO) summit in Dushanbe, Tajikistan, on Tuesday. “Russia, as you know, has proposed to form a wide coalition to fight extremists without any delay. It should unite everyone who is ready and is already contributing to tackling terrorism,” Putin said at the CSTO summit speaking about the Islamic State threat. “The coalition acts without the UN Security Council mandate and lacks some very important actors such as the Syrian government. That is why it is flawed,” he said. “All Russia’s actions in Syria are coordinated with the Syrian government and stay within the norms of the international law,” he added, and once again emphasized that Russia disagrees with the US statements claiming that Russian help to the Syrian authorities negatively affects the situation in this country. On Tuesday, State Department spokesman John Kirby also said in a briefing that president Assad “is the reason ISIL, and other terrorist groups, have been allowed to fester and grow and sustain themselves inside Syria” and Russia should not lend support to the Syrian government in its fight against terrorism.